While guests are impressed by the stunning aerial performance and adorable marine décor presented by the Ocean Park Christmas Sensation, the animal ambassadors in the underwater world at the Park are also all getting ready to enjoy and share a merry maritime Christmas Sensation with our guests this winter! In the South Pole Spectacular, the happy-feet of penguins are waddling together to spend a frosty Christmas with the snowman and our Santa-dressed animal trainer. California Sea lion Tooske and Tiny are trying to mimick the pose of Santa’s reindeer near their very own tinsel-decorated Christmas tree. Dash, one of our seal ambassadors at the Pacific Pier, has already hopped onto her Christmas sleigh and is eager to whoosh out of the waters to make her season greetings to our guests. Down far below the waters, Saint Nick is spotted diving in the Grand Aquarium, giving both our animal ambassadors and guests a very warm hello! This year’s Christmas Sensation perfectly integrates exhilarating performances, entertaining programmes for the entire family, and promotion of marine conservation, promising wave after wave of merry surprises! Aqua Voyage, an all-new aerial spectacular, specifically choreographed for Ocean Park and performed by a world-class acrobatic troupe from Australia and Zimbabwe, is showcased at the Waterfront Plaza five times a day from now on till 16 February 2014. 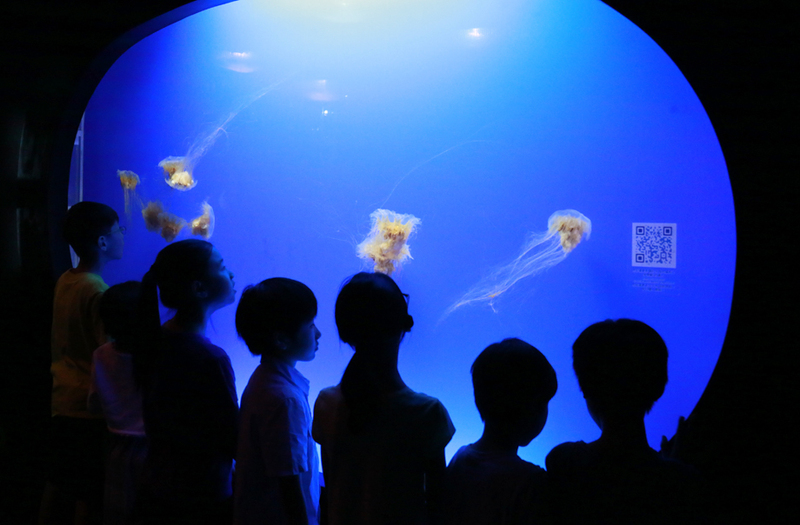 For animal lovers, an all-new presentation at Ocean Theatre, Ocean Wonders, tells the story of the peaceful coexistence between young people and the ocean. Featuring moments of excitement and tenderness, the presentation aims to impart on audiences the importance of caring for the seas. 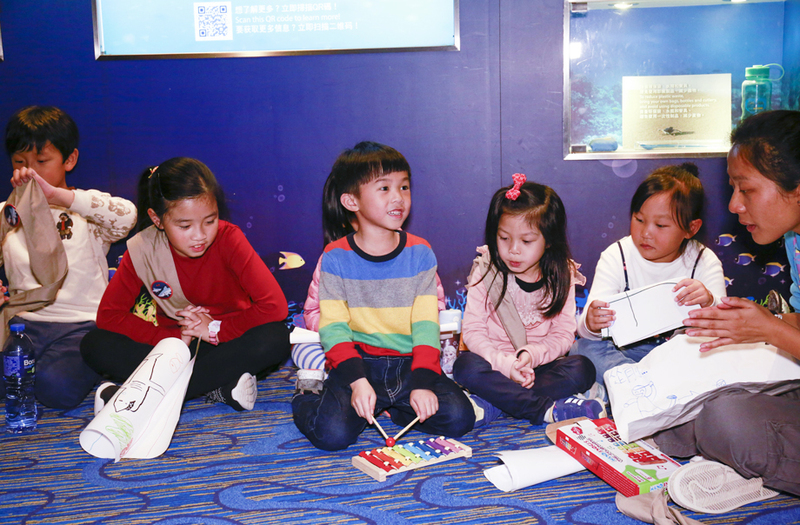 Additionally new to the theatre are pre-show interactive games that provide guests an opportunity to learn interesting facts about Ocean Park’s animal ambassadors, which adds educational value to the entertaining experiences. The new Ocean Heroes presentation at Whiskers Harbour will take young guests on an unforgettable undersea journey for a fun lesson about marine conservation and the impact of ocean debris through song and dance! Don’t miss out and grab your tickets to Ocean Park to join a merry maritime and extra meaningful Christmas! 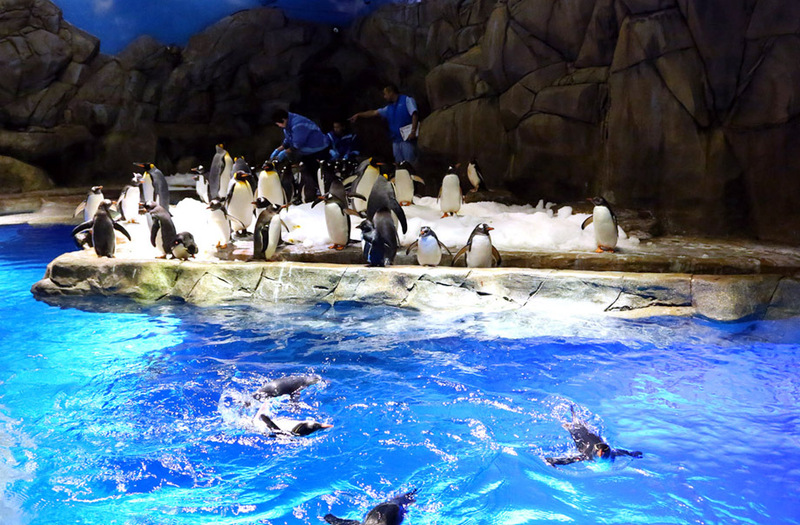 Caption: The happy-feet of penguins at the South Pole Spectacular are waddling together to spend a frosty Christmas with the snowman and our Santa-dressed animal trainer. Caption: California Sea lion Tooske and Tiny are trying to mimick the pose of Santa’s reindeer near their very own tinsel-decorated Christmas tree. Caption: Harbour Seal Dash is sitting on her Christmas sleigh, waiting to whoosh out of the waters to make her season greetings to our guests. Caption: Saint Nick is spotted diving in the Grand Aquarium, giving both our animal ambassadors and guests a very warm hello.